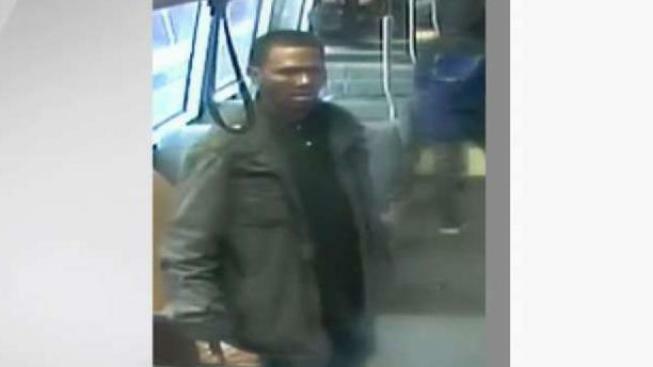 BART has released the photo of a suspected captured on surveillance video after a man was stabbed on board the train heading to the Fruitvale Station Friday. The victim suffered no-life threatening injuries and the suspect is still at large. A man is hospitalized after he was stabbed Friday on a BART train in the East Bay, officials said. A BART official said two men started fighting on the train as it was heading into the Fruitvale Station. The victim suffered non-life threatening injuries, officials said. The Fruitvale station was briefly shut down while police responded to the scene. The suspect is still at large, officials said. On Saturday, BART released the photos of the suspect captured on its surveillance system. The man is described as an African-American male, 30 to 35 years old, 5-foot-6 to 5-foot-8 tall with a slender build. He was wearing an Army green colored jacket, blue jeans and he was carrying a light green backpack and black duffel bag, BART said. A man is hospitalized after he was stabbed Friday on a BART train in the East Bay, officials said. Melissa Colorado reports. "There were several people on the train who saw what happened. Some came forward, and some did not," BART Deputy Police Chief Ed Alvarez said in a news conference at BART headquarters in Oakland. "We are asking anyone who recognizes the individual to come forward." The deputy police chief said the victim was stabbed twice, once to the left side of the face and the other to the right side of the neck. The victim was taken to the hospital, underwent surgery and was still hospitalized Saturday morning, according to Alvarez. "This was not a random attack," Alvarez said. He said a disagreement arose between two individuals, "and it escalated to a physical fight with a knife being used." 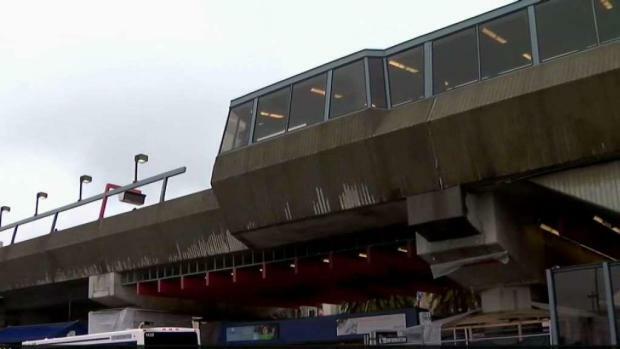 Alvarez said both violent and property crimes are down on BART, though "we are peaking a little bit in the San Francisco area because of cellphone thefts." The agency has beefed up enforcement efforts over the past year, using overtime because "we don't have a lot of the manpower we are in need of right now," Alvarez said. He said BART is recruiting officers. Anyone with information is asked to call BART Police at (510) 464-7000.